At Solstice East, the term “trauma” is frequently used to describe a broad spectrum of personal challenges. As one of the top trauma treatment centers, cutting-edge neurological research has helped us to better understand the impact of trauma on a developing brain and has driven a greater understanding of the most effective methods that can be implemented in its treatment. Historically, the word trauma was used only to describe catastrophic events such as natural disaster, an automobile accident that caused significant bodily harm, or severe forms of physical or sexual abuse. Today, we refer to those as “Big-T Traumas.” In recent years, we have come to understand that trauma creates a significant neurobiological impact on the brain—regardless of the “intensity” of the trauma experienced. In other words, smaller traumas—those we would refer to as “little-t traumas”—create the same neurological changes in the brain as do Big-T Traumas. Our deeper experience with trauma allows us to be one of the leading trauma treatment centers for struggling teen girls. A few examples of little-t traumas are: being bullied, divorce of parents, death of a loved one, adoption, or even feeling socially unaccepted or judged due to growing up with a learning disability. These little-t traumas can impact an individual’s social, emotional and spiritual development every bit as much as the larger, more catastrophic events considered Big-T Traumas. Usually trauma treatment centers don’t organize their program to cater to both Big-T and little-t traumas, this is aspect that tends to make us more effective than other programs. While many of our students at Solstice East have experienced horrifically painful events in their life, as many—or more—are girls who are simply hard-wired to experience greater sensitivity to the world around them. This sensitivity resulted in more significant blows to their development and self-esteem when they were bullied by peers or misunderstood by their teachers due to an undiagnosed learning disorder. These types of situations cause them to experience a heightened level of emotional dysregulation at a higher frequency than their same-aged peers. This often leads to seeking any number of unhealthy coping mechanisms in attempt to gain relief from their dysregulated state. We have engineered our program to help specifically with girls struggling with trauma, which is what sets us apart from other trauma treatment centers. 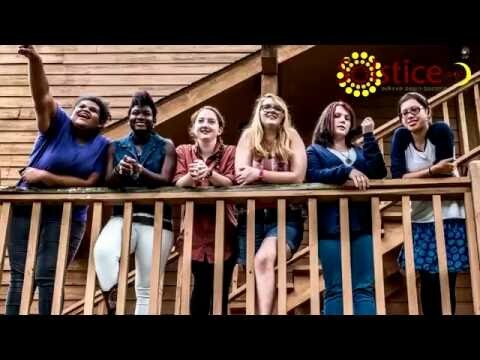 At Solstice East we believe that a holistic approach is the only way to help young women truly heal from trauma. We treat the entire person (mind, body and spirit). It is our belief that cutting-edge and evidence-based therapeutic approaches such as EMDR, neurofeedback, somatic experiencing, Trauma-Focused Equine Assisted Psychotherapy (TF-EAP), Trauma-Focused Cognitive Behavioral Therapy (TF-CBT) and gender-specific addictions treatment are essential to your daughter’s healing process. Of equal importance is her ability to experience empowerment in our academic, recreational, and animal-based programming. Of absolute greatest importance, however, are the relationships that she builds while at Solstice East. We have found that these relationships are essential to helping your daughter heal from her trauma and build a strong and empowered identity. This greater understanding of what heals and helps girls recover from trauma is one of the many aspects that separates us from other traditional trauma treatment centers. “She had been lost somewhere where she shut us out and now she’s back and for that I thank you. I’m so proud.